Lead singles ‘With You’ and ‘Mercy’ were strongly supported by the likes of triple j, community radio, Spotify and worldwide tastemaker blogs – pushing the track up to #3 on the esteemed Hype Machine Now charts. 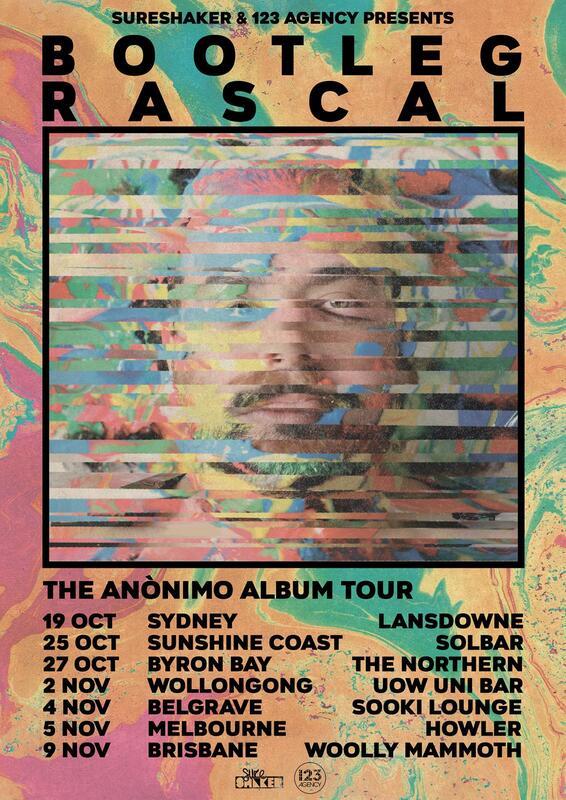 To celebrate the release of ‘Anónimo’, the band will once again hit the road on a seven date tour in October / November with performances in Sydney, Sunshine Coast, Brisbane, Byron Bay, Wollongong, Belgrave and Melbourne. Since their mid-2013 inception, Bootleg Rascal have released a slew of singles, an EP and one album, all warmly received by critics and fans around the world. Multiple tracks have been added to high rotation on triple j and they’ve performed on the stations esteemed ‘Like a Version’ segment. The band have continually traversed the globe playing multiple sold out headline shows in France, UK, Holland, Germany, New Zealand and Australia, and performed sold out shows in the USA. They’ve also regularly appeared on major Australian festivals including Falls Festival, The Big Pineapple Festival, Lost Paradise, Hills are Alive, Festival of the Sun and Party in the Paddock. “An impressive feat from Sydney’s fave dub-rock-reggae roustabouts”. “This is a track with so much to offer”.